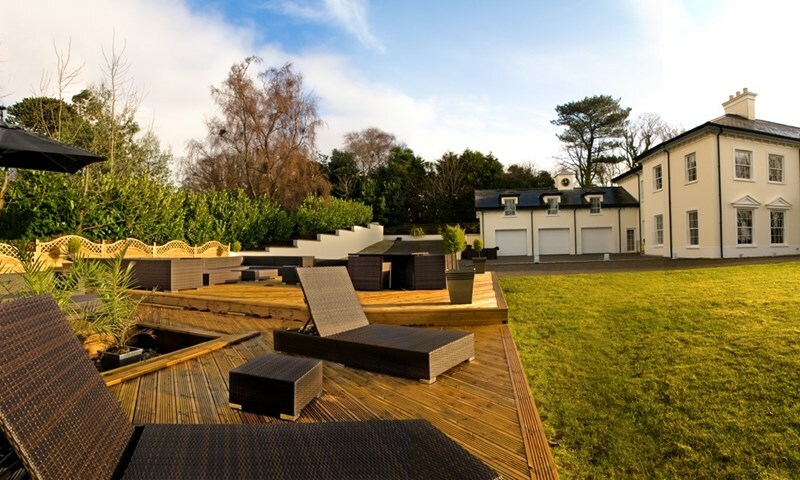 Modena House has been designed as a contemporary paradise, ideal for individuals to relax in privacy and seclusion and also as an entertainment arena for those great social gatherings with family and friends. The mansion house is located in the capital of the Island, Douglas. 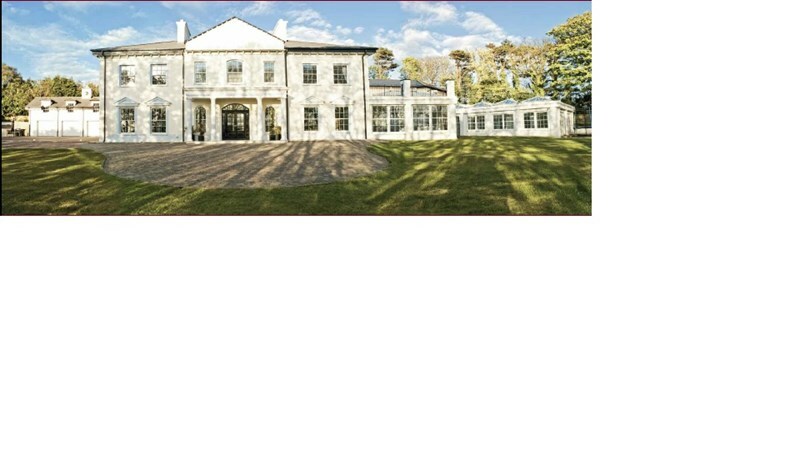 It was constructed in 2006 for the current owner and is set in approximately 2 acres of parkland and surrounded by protected trees. 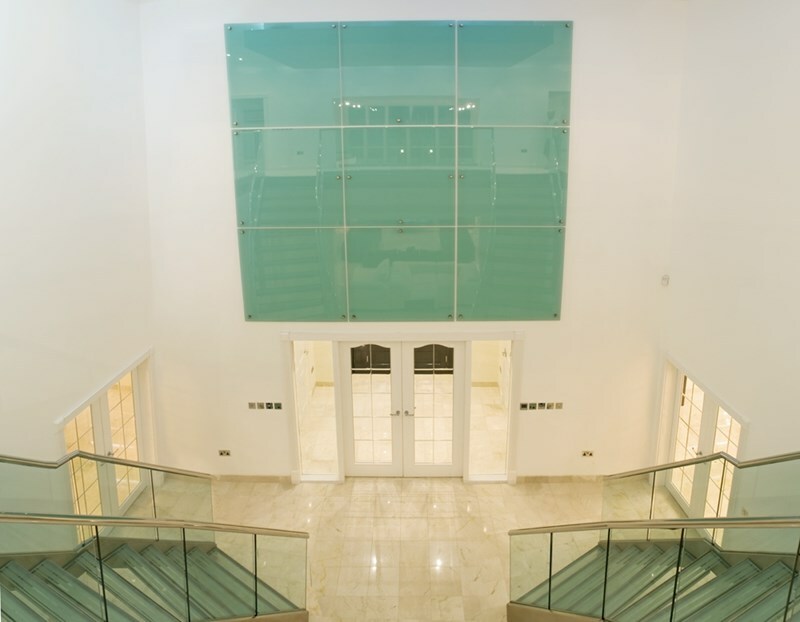 Modena House offers over 15000 square feet of exceptional Internal living and entertainment space. The home has a central theme to the artwork with the artist commissioned to compliment many rooms throughout the property. The house was designed to a strict brief of allowing as much natural light as possible to flood through the internal space of the property. Additional outdoor features include decked entertainment areas with a profusion of outdoor furniture, dining tables and daybeds. a private Jacuzzi hot tub with dedicated lounging area, large manicured lawns with gardeners tractor and sufficient guest parking for even the most flamboyant of entertainers. Travel along Quarterbridge Road and proceed up Bray Hill. At the traffic signals turn left onto Ballanard Road. At the mini roundabout go straight ahead and continue along until you reach the property on your right hand side. 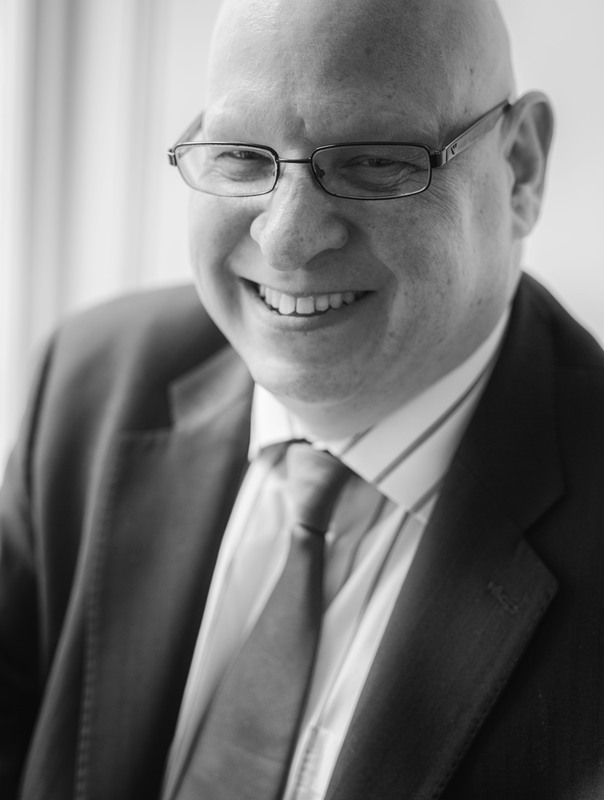 Family privacy and security is paramount at Modena House. The property is fully protected by CCTV linked to a hard drive system accessible from anywhere in the world. ?e property features six outdoor cameras and ten indoor cameras that constantly record any movement. Alarms, sensors and panic buttons are linked direct to the authorities and surveillance cameras may be viewed through any screen in the entire property. A private drive leads to large gates to secure the front entrance to the property which can be opened remotely. The super room is at the very heart of Modena House, flooded by natural light from the 20 foot glass wall, vaulted ceiling and glazed roof. 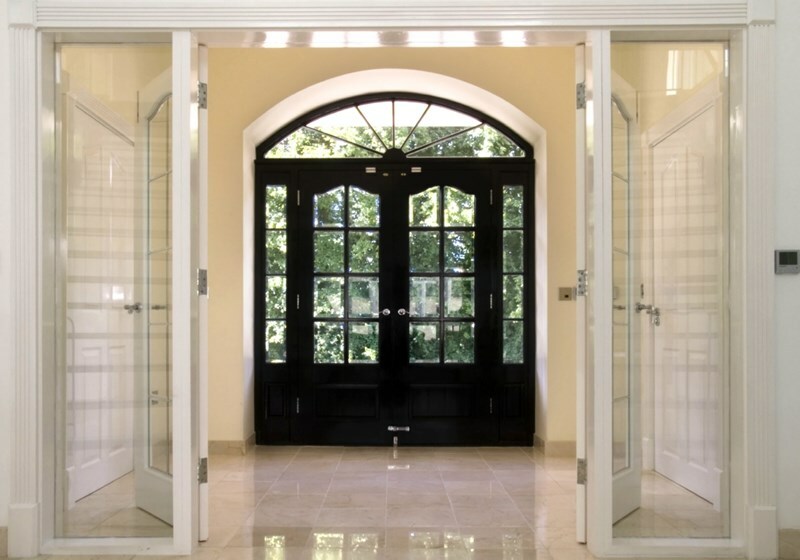 Large double doors provide access to one of the many outdoor entertainment areas the property provides. 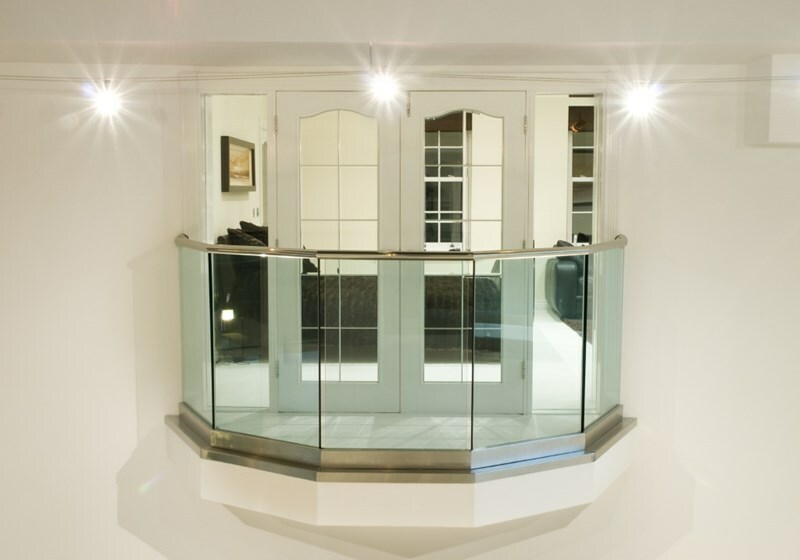 Three internal glass balconies complement the double height super room from the upper galleries. ?e atrium has several adjoining rooms that may be opened up to create further freedom whilst entertaining your guests. 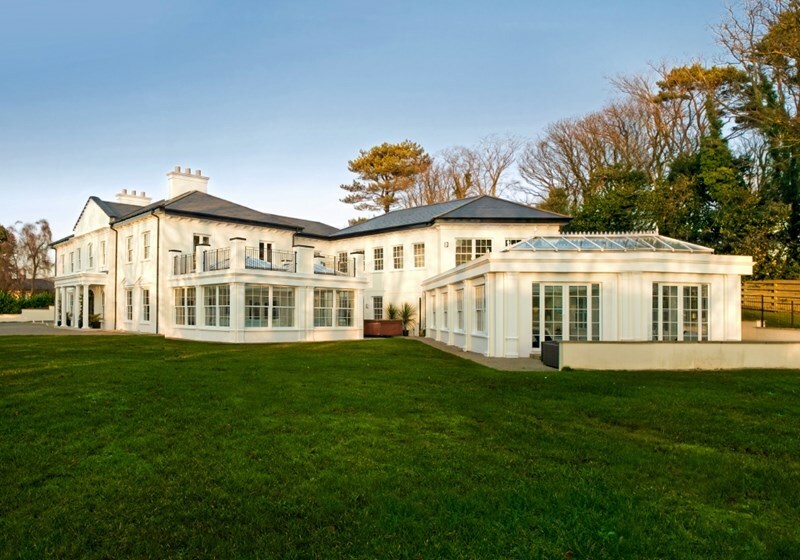 Two stunning glass roofs float effortlessly above the oversize glass walls throughout the orangery offering panoramic views of the gardens. Large double doors lead to the outdoor, 8 person Hot Tub by Jacuzzi and lounging areas. Perfect for daytime relaxation and enjoying your early evening aperitif. The Modena House kitchen & utility area location is equally suited to sociable family time or as a platform for a team of professional caterers to attend to your guests every whim. It includes a professional cooker, large refrigeration and dedicated wine cooler With all this being set in a stunning collection of units finished off with locally supplied granite surfaces and a central super sized granite island with seating for eight. 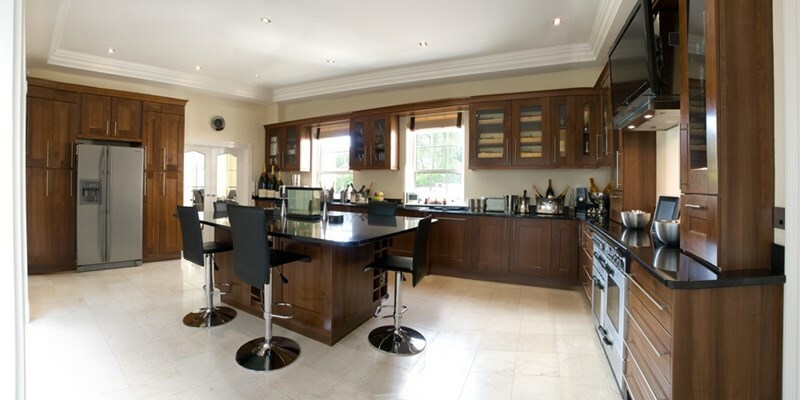 The kitchen also boasts some magnificent display cabinets that presently showcase what is probably the Islands premier collection of champagnes to complete this culinary mecca. The master suite is a symphony of six rooms comprising of the main master bedroom with its own internal glass balcony overlooking the double height super room. 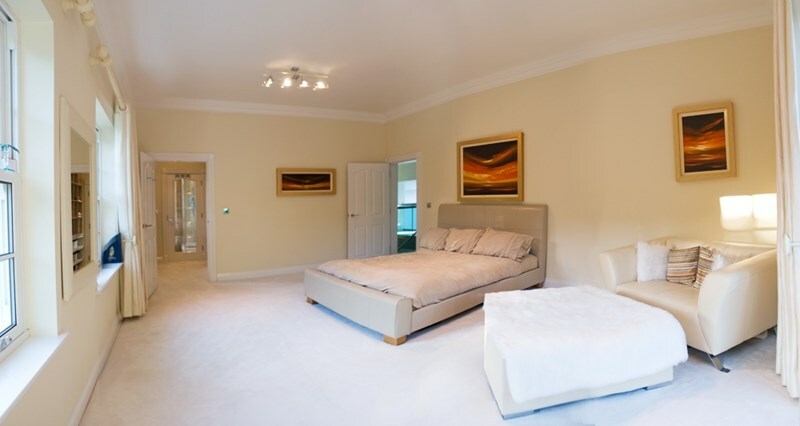 The master bedroom, has double doors through to the relaxation lounge leading outdoors above the orangerie. Through the bedroom suite to the master bathroom, beautifully appointed with 3 large windows and fully tiled in the finest marble, It has a spectacular double jungle shower with 12 body jets. There is an additional walk in double shower, a beautiful oversize large jacuzzi hydro spa bath with a 37 wall mounted waterproof TV, twin sinks, WC and bidet. The master suite not only features a gentleman's dressing room but also a fabulous full Italian designed ladies walk in dressing arena - absolutely fabulous! A further large suite mirrors the White Room and is available for friends and family, also complimented by original matching artwork. 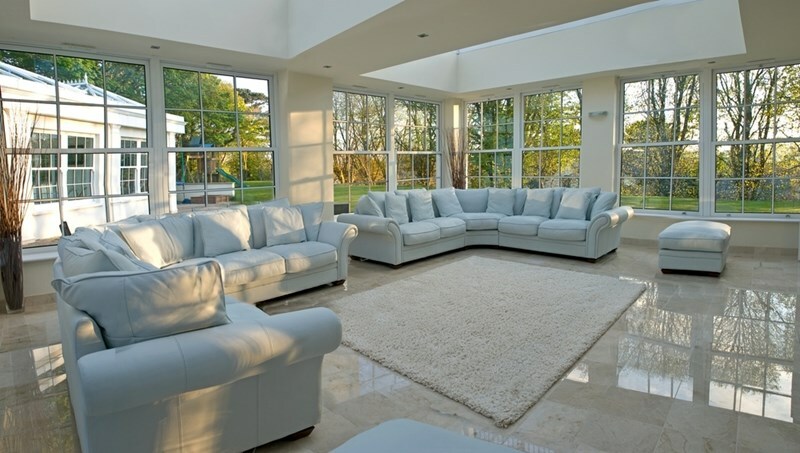 The suite features a sitting area, a dressing room, an en suite limestone tiled bathroom and double doors leading to the outside balcony over the orangerie. Stunning views over the grounds and pool complex. 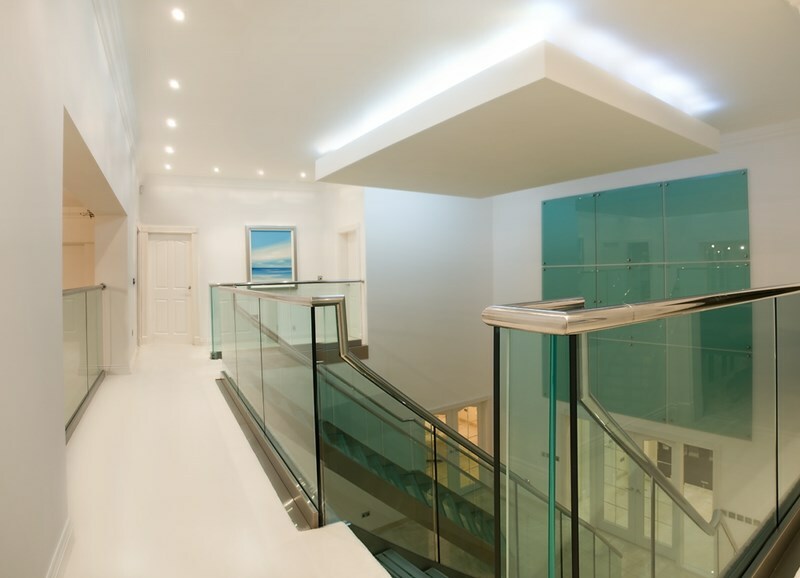 The Inner hall of Modena House and gallery above feature two spectacular bespoke glass staircases, complimented by concealed dynamic lighting in the 20 foot ceiling and glass gallery around the perimeter of the first floor an exceptional glass wall feature specially commissioned, adorns the main wall. 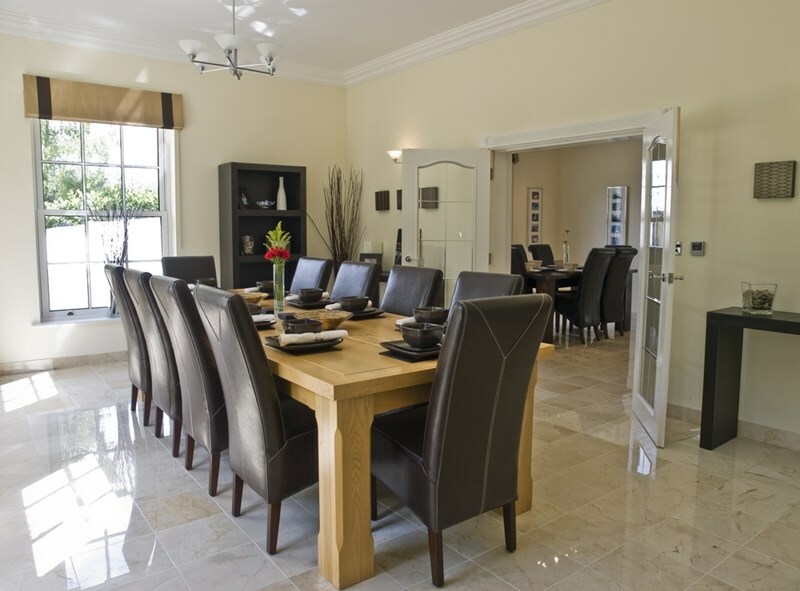 A fantastic introduction area for the social gatherings that Modena House was built for. 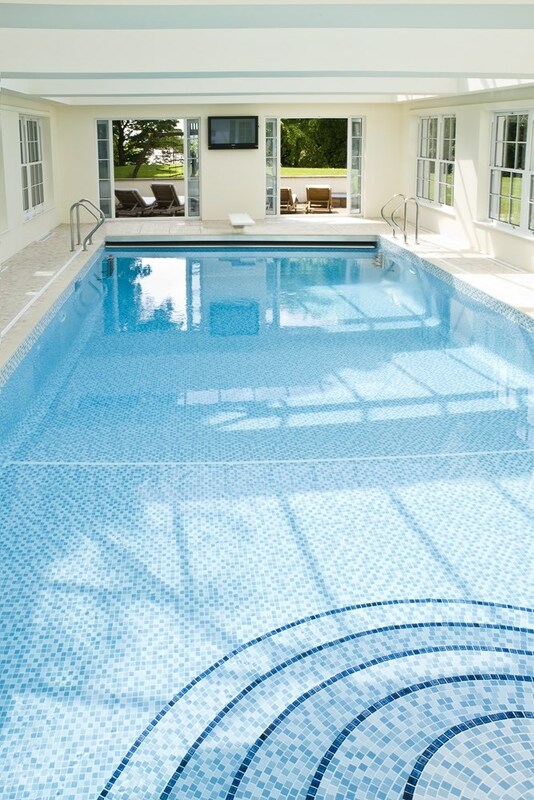 The Jewel in the crown of Modena House is undoubtedly the large indoor swimming pool with its four large glass roofs above and panoramic glazing giving superb outlooks to the grounds. The pool is an exceptional size and has wonderful crescent entrance steps into it, an electronic hard pool cover retracts completely into its hidden enclosure, a diving board features at the deep end and the pool is complimented with under water lighting, wall mounted TVs and dynamic evening lighting Large twin double doors lead from the pool to a dedicated outdoor lounging suite The complex houses its own indoor hot tub with TV in addition to the outdoor Jacuzzi Changing facilities with WC and twin showers. 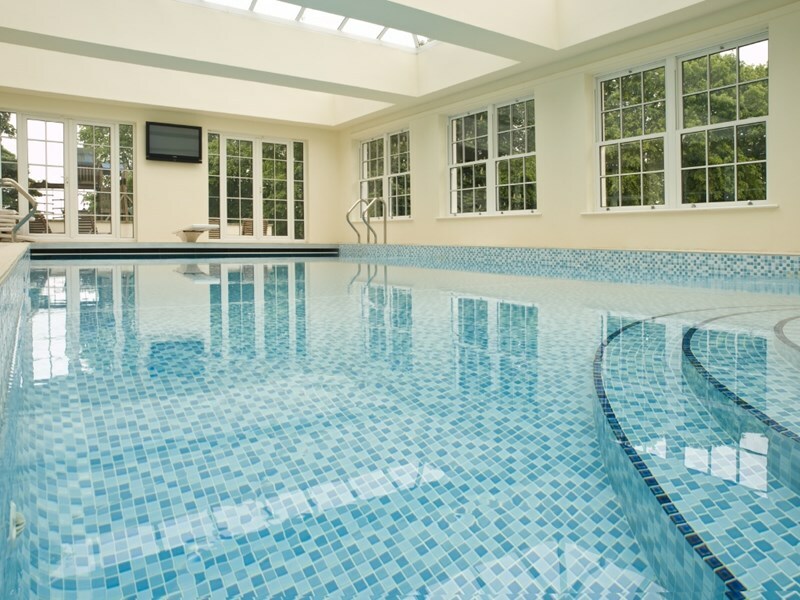 Further leisure facilities at Modena House include the large gymnasium. 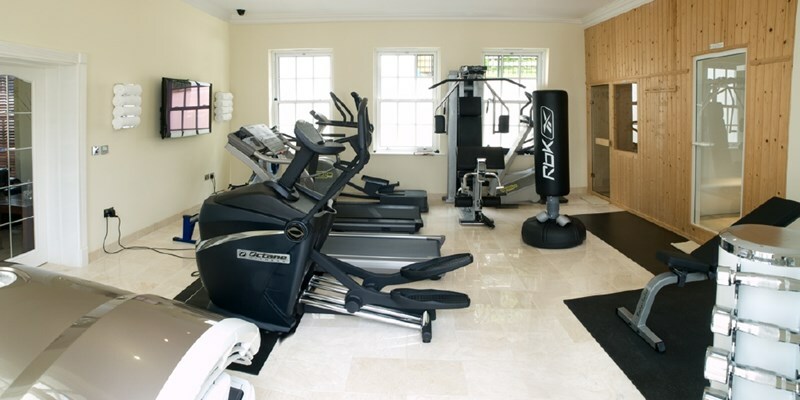 A fully equipped facility including the latest cardio and toning equipment together with the latest solarium. 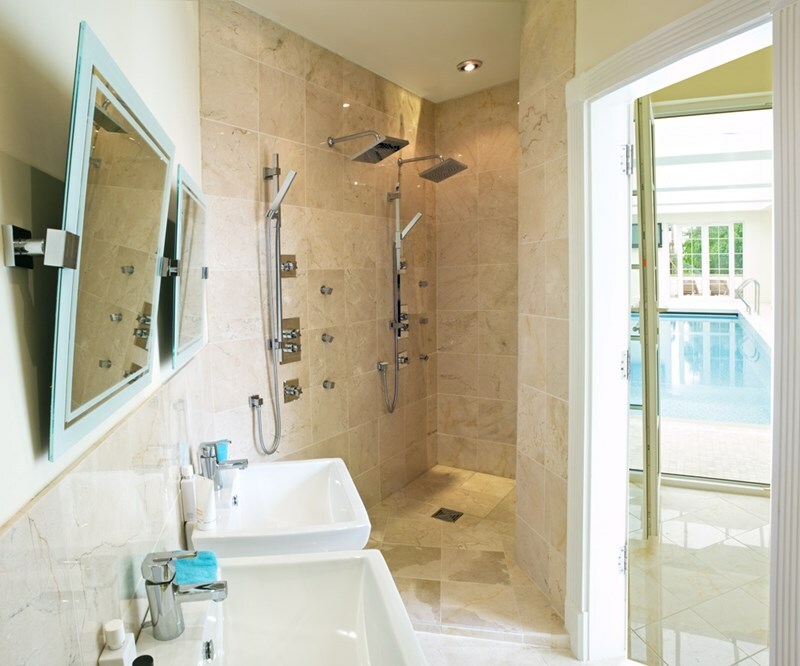 Changing and showering facilities are provided separately. Doors lead both through to the changing area and pool facilities and also to the snooker room. An outer door leads to the outdoor Jacuzzi tub and entertainment areas. Modena House provides several areas for outside entertainment. Weatherproof loungers, chairs, day beds and dining tables surround the property including an enormous decked area, ideal for social gatherings with family and friends on a perfect summer evening. Featuring the latest in technology including: In-ceiling electric drop down 10 foot screen The latest Sony Bravia Projector. Fully integrated surround sound system all of which are centrally controlled of course to enjoy this cinematic feast you will revel in the ultimate comfort of the 6 Leather Natuzzi electric reclining cinema seats for that perfect night in. 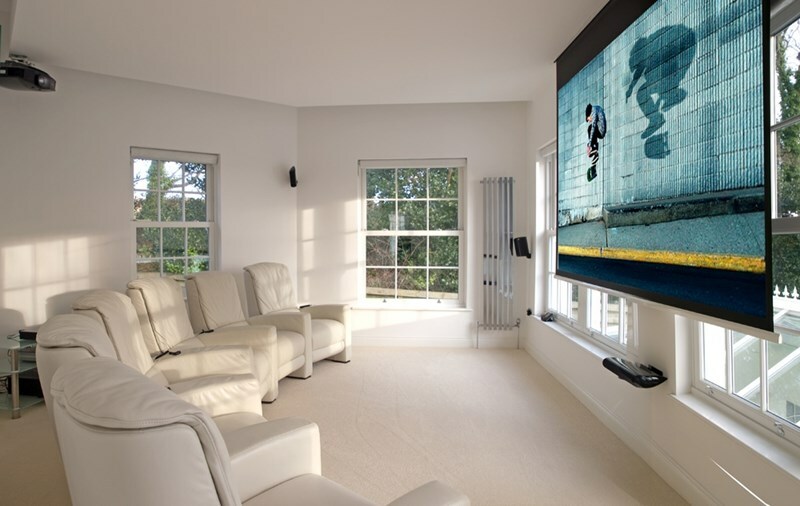 Automatic electric blinds provide black out facility from the remote controls. Modena House boasts five large garage units for the discerning vehicle owner, 3 linked to the main house and 2 to the rear providing generous secure car parking areas. Additional storage facilities are available in upper floors of the rear garaging. 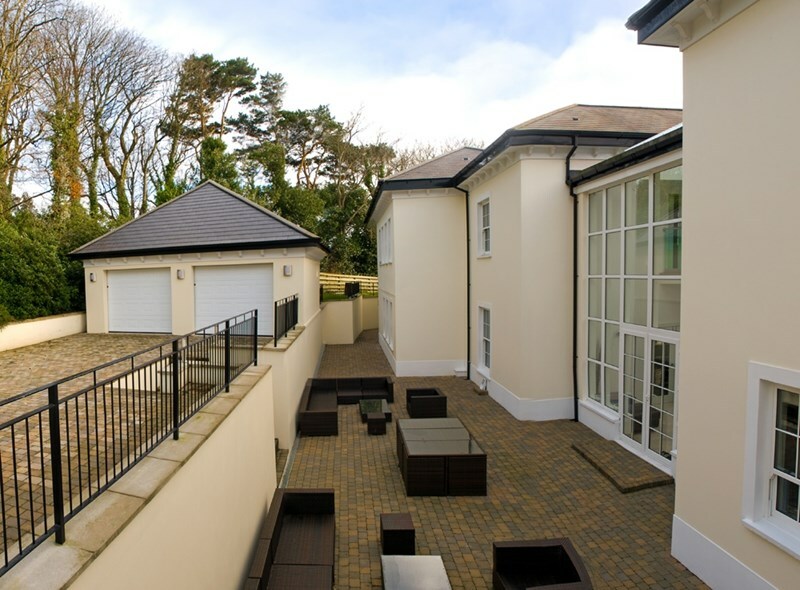 above three of the garages attached to the main house, there is a five room suite currently used as an office suite and bedrooms together with a shower room. Ideal for either housekeeper accommodation, live-in au pair, teenagers suite or for the busy executive to continue any business interests in complete privacy. A magnificent full sized snooker table is available for you and your guests entertainment with the additional benefit of a dedicated lounging area to just relax in if not playing or practising! Formal dining takes place here and comfortably seats ten friends or family in a beautifully appointed room enjoying the views to the front lawn. Ample room is available to extend for larger gatherings and double doors lead separately through to the morning room and also to the main hall and gallery.